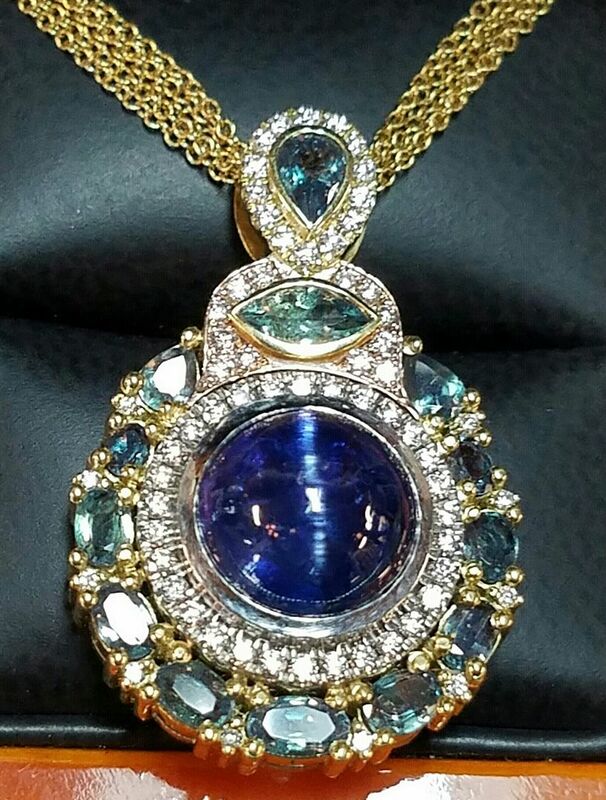 To my knowledge, here is the first Cat's Eye Tanzanite piece of fine Jewelry ever made on earth. I drew this design for the 7.82Ct on August 4, 2016. 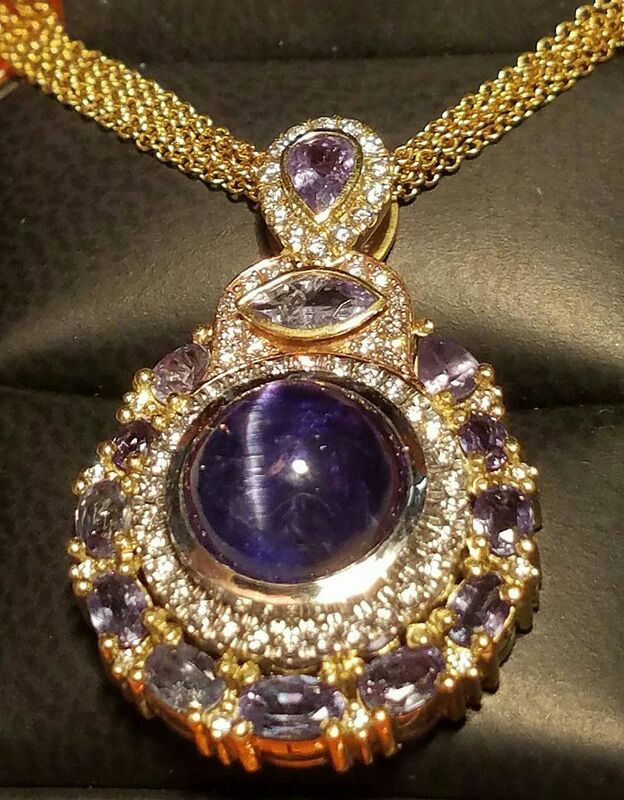 An International Auction open since 1793, based in Hong Kong, London, New York and Los Angeles has declared in writing, to their knowledge, the 19.38Ct big Sister that we just completed, to their knowledge, was the first Cat's Eye Tanzanite to ever come to public auction." 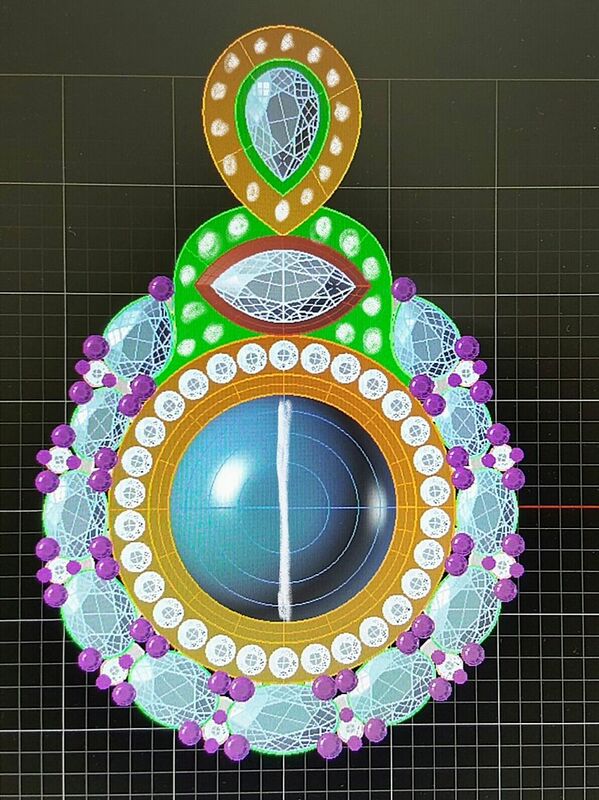 The 7.82Ct Gia Certified Cat's Eye Tanzanite Surrounded by Color Changing Alexandrite and Diamonds set in 18k Rose, 18k Green, 18k Yellow Gold and Platinum is Sold, but the 19.38Ct surrounded by Gia Brazilian Paraiba Greenish Blue Tourmalines and accented with a Gia 1.01Ct Red Heart Ruby surrounded by Gia Fancy Intense Orangy Pink and Fancy Orangy Pink Diamonds in hand engraved Platinum is up for bid now. I call it LOVE & LIGHT.